Send us details about your situation or call us now at (201) 880-7070 for a free case evaluation. with a divorce lawyer. The Erlina Perez Law Firm is committed to helping individuals and families in Hackensack and throughout Bergen County navigate the painful process of divorce. We understand how difficult it can be to reveal intimate details about your personal life, which is why you can expect us to treat your case with the utmost respect and sensitivity. The firm’s founder and lead divorce attorney Erlina Perez believes in a compassionate and supportive approach to family law matters. She will listen closely to your goals and concerns and work with you to develop solutions that suit your immediate and long-term needs. pared her to handle all aspects of divorce. In addition, her familiarity with the local courts in Hackensack and throughout Bergen County enables her to help you navigate the system with ease. For a free consultation to learn more about your divorce legal options, call our office located in Hackensack at (201) 880-7070. The end of a marriage also means the end of a financial partnership. Divorce attorney Erlina Perez will make sure to protect your financial interests and advocate on your behalf for a property settlement agreement that is fair and reasonable. Division of assets and debts: Property division laws in New Jersey are based on an equitable distribution model, meaning if you and your spouse cannot agree on how to divide your property then the court will step in and divide equally. 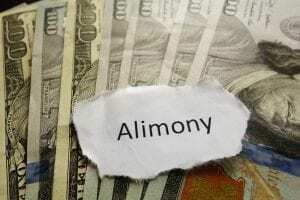 Spousal support or alimony: New Jersey courts may award a financially dependent spouse a certain type of alimony based on his or her financial needs and earning capacity. Children Related Issues in a Divorce: If you have children, they are most certainly your first and foremost priority in a divorce. There’s no doubt you want to shield them from any additional or unnecessary trauma during this transition period. The most critical issues that will need to be addressed in a divorce involving kids is custody, parenting time, and child support. Child custody and Visitation: Reaching consensus with your spouse on dividing up time with your kids may not be easy but there are alternative dispute resolution measures such as mediation that can help you and your spouse find common ground. Ms. Perez will do everything possible to ensure that your parental rights remain intact and that you remain fully present in your child(ren)’s life. Child support: All parents in New Jersey are obligated to contribute financially in supporting their child(ren). The amount of child support provided is based on a formula known as the New Jersey Child support guidelines. Ms. Perez can help you negotiate a child support amount that is financially reasonable and in your child(ren)’s best interests. If you are thinking about getting divorced in New Jersey, it is important to understand how your property maybe divided. This can have a significant impact on you as well as your family members after the divorce concludes. New Jersey classifies the assets and the debts that a married couple accumulates together or individually over the course of their marriage to be marital property, no matter how that property is titled. A judge can determine how much weight to give to any individual factor. Typically, they will put the greatest importance on the marital lifestyle established and the length of the marriage. Couples are also eligible to negotiate their own equitable distribution arrangement with a help of a mediator or in an independent fashion. 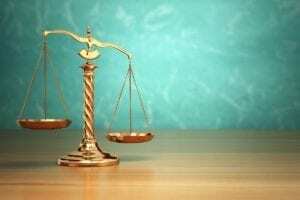 Otherwise, the decision about equitable distribution of property ultimately falls to a judge. Marital property includes all debts and assets accumulated over the course of the marriage. However, it does not include property that either spouse received before marriage or as an inheritance or gift from a third party during a marriage. A person who claims that any property they own at the time of their divorce is separate will have to prove it as this can be extremely difficult when elements of marital property are often co-mingled. Property is valued at its fair current value when it comes to the process of equitable distribution which means what you would be able to get for the assets if you sold it today. There are many different options to consider in the distribution of marital debts and assets. First of all, there can be tax implications for both parties depending on the type of assets received. Furthermore, certain assets may make it more difficult for you to financially move on with your life after divorce. One party may fight to receive the marital home for example, but it could be difficult to liquidate this asset quickly. Consulting with an experienced Hackensack equitable distribution attorney is strongly recommended if you are facing divorce. Depending on the nature of your relationship with your soon to be ex-spouse, your divorce will be either uncontested or contested. If you both agree on how to resolve all the key issues in your divorce, you can proceed with an uncontested divorce. 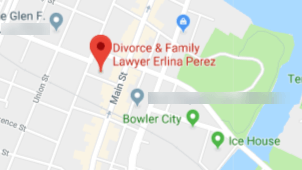 In an uncontested divorce, Ms. Perez can incorporate all of your decisions into a binding marital settlement agreement. An uncontested divorce in New Jersey takes approximately 3-6 months to become finalized. Sometimes no matter how hard you try, compromise cannot be achieved. If your spouse is not willing to meet you halfway, you will be headed for a contested divorce. This means that a judge will be involved in making important decisions about your future and the future of your children. Ms. Perez will not hesitate to vigorously litigate your case in the Bergen County family court system and fight to make sure you and your child(ren) are protected for the future. Bergen County is one of the busiest counties in the state of New Jersey for divorce. In fact, 7,000 cases are on the divorce docket each year. You or your spouse must have lived in New Jersey for at least one year prior to filing. The only exception to the one-year residency requirement is when the grounds for divorce are for adultery. Personal: social security cards, your driver’s license, and/or birth certificates for your children. Financial: recent pay stubs for you and your spouse, state and federal tax returns, bank account statements, credit card statements, loan documents. 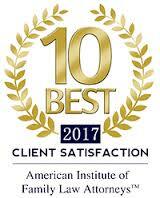 Title mortgages, valuations/appraisals, utility bills, rental agreements, vacation homes, investment and commercial properties. Insurance Policies: life insurance, medical insurance, homeowner’s insurance and car insurance. Divorce involves a ton of complex paperwork. One of the values of having a divorce attorney is that you never have to worry about filling out a form incorrectly or missing a deadline. Complaint for Divorce: lists the grounds for divorce usually based on one of four common reasons: Extreme Cruelty, Irreconcilable Differences, Eighteen (18) Month Separation or Adultery. Confidential Litigant Information Sheet: lists specific personal information such as date and place of birth, social security number, driver’s license number, auto license plate number, mother’s maiden name, children’s social security numbers, and medical information. Certificate of Insurance Coverage: lists medical and health benefit coverage, life insurance, homeowner or renter’s policies, automobile, disability, and any other active insurance policies. Certification of Complementary Dispute Resolution (CDR): certifies to the court that you are aware that alternative dispute resolution options exist. the complaint is filed, the court assigns you a docket number. Included within the complaint will be the grounds on which you choose to dissolve your marriage. 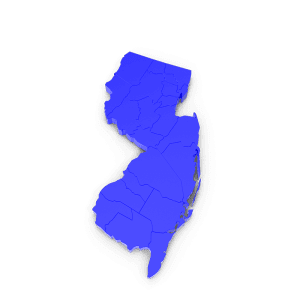 Since New Jersey is a no-fault state, the most common grounds for divorce is irreconcilable differences. To file based on these grounds, the marriage must have been broken down for a period of six months. Your complaint must also include specifics on what you are asking for in the divorce regarding alimony, dividing property, the custody of your children, child support, etc. Ms. Perez will make sure your wishes are explicitly articulated and documented. After the petition is filed with the court, it must be served on your spouse. This is called service of process and means that your spouse must receive and sign a copy of the divorce petition. Your spouse has 35 days to file an answer with court, which can include his or her own counterclaim that states why they want a divorce from you and what issues they want the court to resolve in their favor in the divorce case. If your spouse does not respond to the initial complaint, you can enter a default with the court and proceed without your spouse to get a Judgment of Divorce. If he/she does respond, you can file an answer to the counterclaim. If you have children, the court will send you information about a parenting program workshop. Within 20 days of an answer being filed, the court will schedule a Case Management Conference (CMC). This conference is meant to provide the court with a list of all the things that need to be accomplished going forward in your divorce proceeding. If you have children and you and your spouse have not reached a custody agreement or schedule of parenting time or visitation, the court will order you to meet with a mediator to resolve these issues. The court will set deadline for discovery, which is when you and your spouse will disclose and exchange key financial documents. The court will ask if you and your spouse plan on retaining experts for settlement or trial purposes (accountants, property appraisers, mental health specialist to conduct psychological or custody evaluations, etc). If there are certain issues you need resolved before your divorce is finalized, Ms. Perez can file a temporary order or pendente lite (“awaiting the litigation”) motion for relief with the court. These orders can maintain the status quo or create some stability while your case is pending. Setting a parenting time schedule. Awarding temporary sole possession of the marital residence. Ordering the payment of certain bills such as mortgage, utilities, car insurance, marital liabilities, college and private school tuition. Ordering the payment of health insurance. Awarding sole possession of certain vehicles. Temporary orders end when the final divorce is granted. However, if the current arrangements have worked well, you can incorporate them in the Final Judgment of Divorce or in the Marital Settlement Agreement and they will become permanent. Discovery is the information gathering phase of a divorce in which you and your spouse will exchange key financial documents. This exchange of information helps to identify income, assets and debts so there are no surprises going forward. 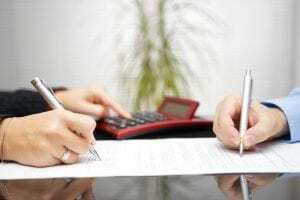 The court requires divorcing couples to file a case information statement (CIS), which is a 10 page comprehensive document that sets forth the financial details in a divorce case. The CIS is arguably the most important document in a divorce and must be filled out as complete and accurate as possible. The information provided is used to craft a property settlement agreement as well as alimony and child support. process. Prior to the panel, you and your spouse will submit proposals to one another and to a panel of volunteer family lawyers specifying how you would like to resolve key issues. On the day of the settlement panel, the panelists will offer their recommendation on how they believe you should settle your divorce. Their feedback also helps to give you an idea of how a judge would rule if you were to go to trial. You are under no obligation to take their advice or implement their suggestions. If, however you and your spouse find the panel helpful and can work out , you can get a divorce that very same day. Failure to reach a settlement at the ESP panel means you will have to attend court ordered economic mediation. 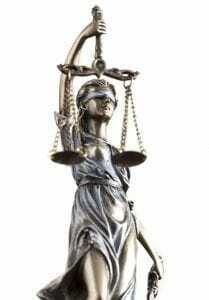 Economic mediation offers yet another opportunity to resolve your case without going to trial. You and your spouse will once again submit proposals, this time to a neutral mediator in the hopes of reaching compromise on the contested issues. If you are unable to find common ground, you will have one more opportunity to settle your case at an All-Day Intensive Settlement Conference at the Courthouse. If this too fails, the court will schedule a date to begin trial. The good news is most cases do end up settling before trial. At trial, a family court judge will review evidence, hear testimony from you, your spouse other witnesses and make decisions on all key issues. What are the Different Types of Custody in New Jersey? If you and your spouse can negotiate a child custody arrangement in good faith, then the court will not interfere. However, if you are unable to reach agreement, the court will step in and establish orders. Bergen County Family Court makes child custody determinations based on what is in the best interests of the child(ren). The court’s general view is that child(ren) in a divorce should maintain frequent and meaningful contact with both parents and that each parent should share in the rights and responsibilities of raising the child(ren). Legal custody refers to who will make important decisions regarding the child(ren)’s education, healthcare, religion, and general welfare. Unless one parent is unhealthy or mentally unstable, the court will usually grant joint legal custody. Sole physical and legal custody can be awarded to one parent if the other parent is deemed unfit or is considered a danger to the child(ren). Of all of the complicated issues that must be resolved in your New Jersey divorce, there is no doubt that no matter which parent you are, you are concerned about the impact of child support. A parent who may be financially responsible for paying child support is interested in the factors used to determine the amount of child support and how to get set up to pay it. A parent who may be the recipient of child support will likely have questions about the establishment of child support, modification of child support and enforcement of child support orders. In New Jersey, child custody and child support laws require that every parent be responsible for financially supporting the child. When separating or divorcing, it is critical that a child support settlement is reached that helps to protect the children’s needs and interests. in the state of New Jersey. Working with a Hackensack child support attorney helps you understand how your child support settlement will ultimately be reached. Child support calculations are established in accordance with guidelines outlined by the New Jersey legislature. To start with a child support case in New Jersey, the expenses and income of each parent have to evaluated. After the point at which the time that the child will spend with each parent is planned and determined, child support is often linked directly to child custody agreement. When parents are scheduled to spend more time with children than the other parent, they could be awarded a larger child support payment. Each parent’s financial situation as well as the unique needs of the child are taken into consideration when determining a child support amount. Whether you are interested in how child support will affect your child custody agreement or your overall divorce, or you are interested in modifying an existing child support order, a Hackensack child support attorney can assist you with this process. There are many different complicated issues involved in the dissolution of a marriage in New Jersey. However, parenting time is often one of the most contentious and important for all parties involved. The parenting time stipulates how much time you’ll be able to spend with your children. Both parents will want to schedule a consultation with their own Hackensack family lawyer as soon as possible after making the decision to divorce. Identifying a Hackensack parenting time attorney as soon as possible can help you navigate this complex process. Both parents are always eligible to resolve their own parenting time agreements through mediation. If parenting time or custody are disputed, however, then the discretion to determine parenting time is transitioned to the judge presiding over the case. The legal standard to evaluate custody determinations in New Jersey is the best interests of the child. The court can evaluate many different factors in determining what is the best interest of the child for parenting time. This includes the parent’s relationship with one another and their ability to cooperate, the child’s relationship with his or her siblings and the parents, any instances of domestic violence, the ability of each parent to provide for the child, how much time each parent has already spent with the children and the child’s preferences and needs. There are two critical aspects to custody in New Jersey. The first is legal custody, which refers to a parents’ right to make decisions concerning the child like education, medical treatment, and religious issues. In many cases, parents will maintain joint legal custody and share and split the decision-making responsibilities. Physical custody refers to where the child actually lives. If parents share joint physical custody, they will spend time with each parent for a certain period of time over the year. The individual who spends the most time with the children is the parent is the primary resident. Child custody arrangements will vary significantly based on the particular experiences of each parent and the needs of the children. Identifying a Hackensack parenting time attorney at the outset of your case can help you clarify these critical issues. If you are considering a divorce, call the Erlina Perez Law Firm today at (201) 880-7070 to learn your legal options. Learn more about Erlina Perez here. THIS IS AN ADVERTISEMENT. These materials have been prepared by Erlina Perez Law Firm, LLC for general informational purposes only and are not intended and should not be construed as legal advice or legal opinion on any specific facts or circumstances. You should consult an attorney for advice regarding your individual situation. We invite you to contact us and welcome your calls, letters and electronic mail. Contacting us does not create an attorney-client relationship. Please do not send any confidential information to us until such time as an attorney-client relationship has been established. No aspect of this advertisement has been approved by the Supreme Court of New Jersey.